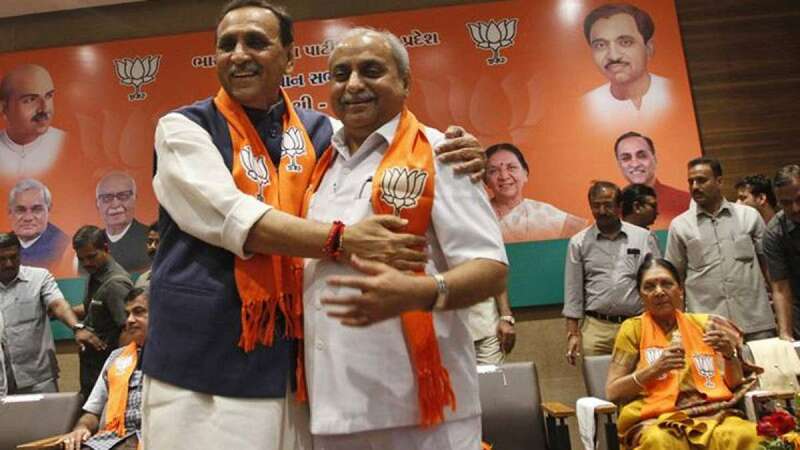 Ahmedabad : Vijay Rupani will continue as the Chief Minister of Gujarat and Nitin Patel as his deputy, the BJP announced on Friday after Finance Minister Arun Jaitley oversaw a meeting of the party's newly-elected MLAs. The legislators unanimously elected Rupani as leader of the BJP's legislature party, Jaitley told reporters. He said Patel was elected as deputy leader in the House. Jaitley said the date for the swearing-in will be announced separately. Rupani, seen close to BJP President Amit Shah, won a second term as the Chief Minister after the BJP got 99 out of 182 seats in the Assembly elections. Independent MLA Ratansinh Rathod from Lunawada has offered support to the BJP, bringing its number to 100 in the House.